Gmail is an email service developed by Google, released in 2009, becoming fast one of the world's most popular email programs. It can be accessed on the web and using third-party programs (through POP or IMAP protocols). Gmail offers you 15 GB of storage space. You can receive emails with a size of up to 50 MB, and you can send emails of up to 25 MB. Gmail has a search-oriented interface and a "conversation view" similar to an Internet forum, but you can change this by opening your Gmail email address from Inbox by Google, which aims to improve email productivity and organization through several key features. It has more than 1.2 billion users, and was the first app on the Google Play store to hit one billion installations. It’s very easy to create a Gmail account, and you’ll have many advantages. Basically, you’re creating a Google account, and getting access to all of Google’s services. 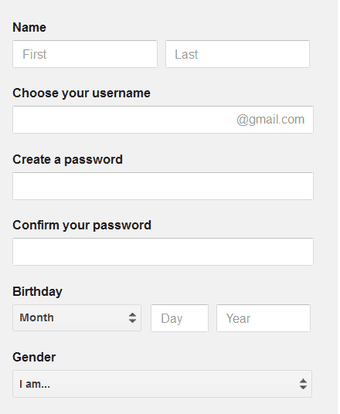 These are the steps you need to follow in order to create a Gmail account. Open a new window in your browser and open: https://accounts.google.com/ . You will be prompted to the log in page for your Google account. You need to click on “More options”. You will be given two options: “Create account” and “Not your device?”. Click on “Create account” and you’ll be taken to the sign-up page. Alternatively, you can simply go to: https://accounts.google.com/SignUp . Name: write your first name and last name (or surname) in the corresponding fields. Choose your username: Choose your preferred username. You can use letters, numbers and symbols. Google will not offer valid suggestions based on the first name and last name you provided. The domain will be “@gmail.com”. if the username you choose is already in use, you will get the message “Someone already has that username. Note that we ignore periods and capitalization in usernames. Try another?”. Now you need to create a password. You must use at least 8 characters. Google recommends that you don’t use a password from another site, or something too obvious like your pet’s name. In the field below, you need to confirm your password. Birthday: Select your birth month from the drop-down list, then write the day and year of your birth in the corresponding fields. Gender: Select your gender from the drop-down list. Google offers four options for this: Male, Female, Other and Rather not say. You can't leave the field empty, but you can choose the option of not disclosing your gender. Mobile phone: Write your mobile number in the field request. The country prefix will be pre-completed for you. Your current email address – Google will use this to secure your account and to send notifications. Write the information in the corresponding field. Location – this field will be auto-completed by Google, but you can also choose your country of residence from the drop-down list. After you wrote all the information requested in the sign-up form, click on “Next”. A message with Google’s Privacy & Terms of conditions will appear on your screen. Read the text carefully, then click on “I agree”. Congratulations! You just created your Gmail account. A screen with a welcome message will appear! Click on “Continue” and you will be taken to your Account page. From here you can personalize your account, modify your privacy settings, and so much more! 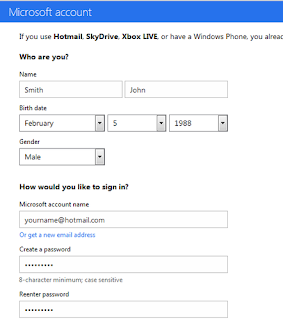 Hotmail is one of the best free online email services out there. Founded in 1996 as the first free email service in the world, Hotmail was acquired by Microsoft in 1997 and since renamed as Outlook.com. It offers great features such as: calendars, tasks, message filters, spam filtering, auto-completion of contact addresses, contacts import and export, virus scans, rich text formatting and signatures, and many more. 1: In your computer browser, go to the https://outlook.live.com/owa/ address and click on Create account. You can see this option in the top right side of the screen. 2: You will be provided with two fields and asked to set a new email address and a password. 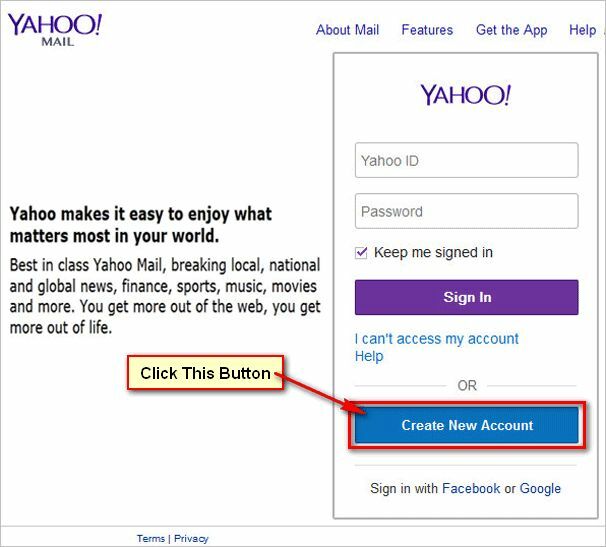 The email address will consist of the username of your choice and the domain. 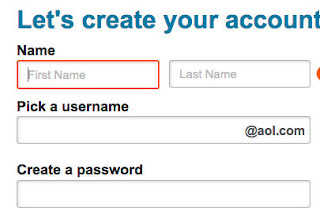 In the first field, you will write the username, which needs to be unique. In the right side of the username box, you will see a dropdown list, from where you can choose the domain of your email. You have two possible choices: @outlook.com and @hotmail.com. In the field below, set your password of choice. The password will need to be at least eight characters long and contain at least two of the following: upper case letters, lower case letters, numbers and symbols. Try to set a password that it is difficult enough, but which you can remember easily. Do not use a password that you have already used on other accounts, since this is how most accounts are usually hacked. If you want, you can tick the box below, confirming that you want to receive promotional emails from Microsoft, but this is not a mandatory step. So if you don’t want to receive any promotions, leave the box unchecked. After this, click on Next. 3: Add details: on the next page, write your first name and surname (last name) in the fields provided and click on Next. 4: Click on the Country/region drop-down list and click on your current location. 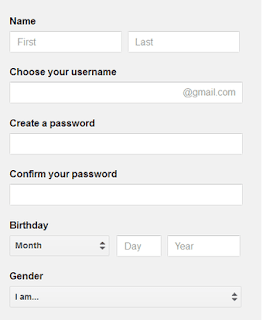 In the Date of birth section, click the Month, Day and Year boxes and select the date on which you were born. 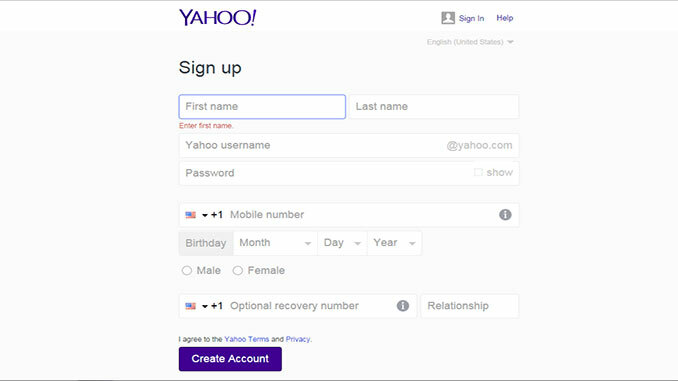 At this point, if the password you had set at step 2 is considered by the system as too easy or too commonly used, the setup process will return there, and you will have to set a new password and repeat steps 3 and 4. 4. 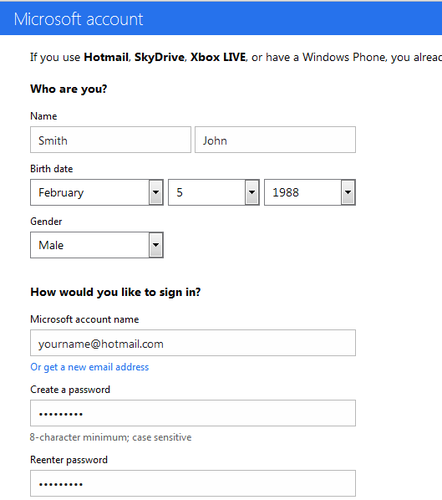 The final step of creating a new Hotmail account is the CAPTCHA test. This is where you need to prove that you are a real person. You will be provided with an image featuring two short strings of letters and numbers, which you will have to transcribe in a field below the image. If needed, you have the option of requesting a new captcha or the audio version, by pressing on the New and Audio buttons. After this, you need to press on Next. 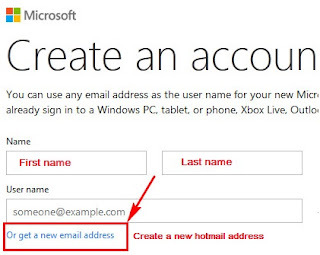 After you submitted the correct answer, you will be directed to your new Hotmail account inbox. 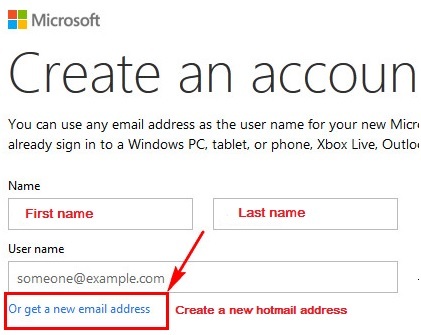 You will be required to confirm your time zone (Hotmail will most likely set it for you) manually and customize to your liking the new free Hotmail account you created.